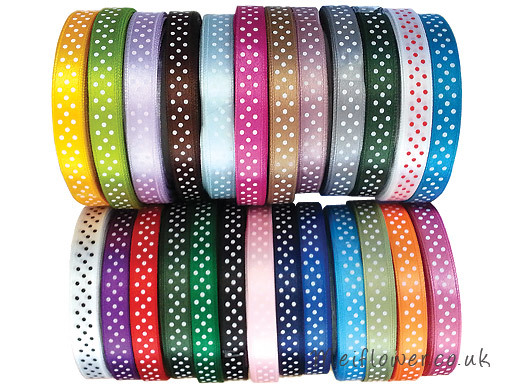 This week at MeiFlower save 25% off on All polka dot ribbons. As you can see from the picture above there is a great selection of 25 wonderful colours for you to choose from. 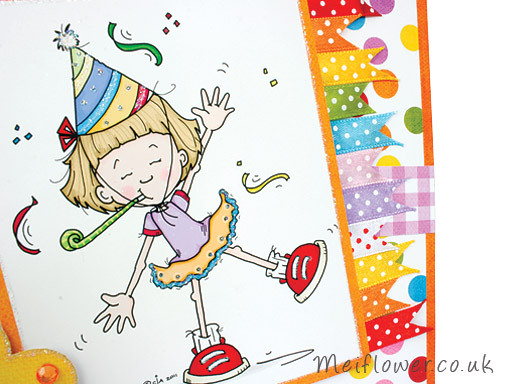 Colette has made a wonderful Happy Birthday card decorated with the polka dot ribbon. For further inspiration, see how Sew Magazine have used our orange polka dot ribbon to make a wonderful Halloween project. 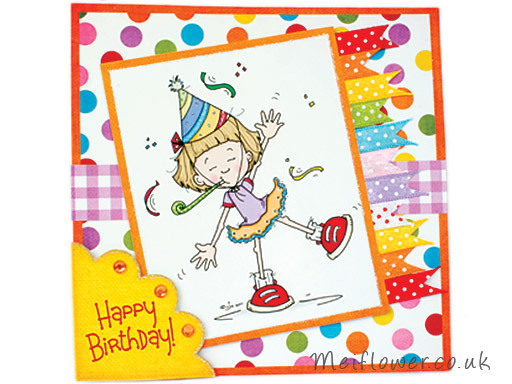 This entry was posted on Saturday, June 1st, 2013 at 10:50 am	and is filed under Birthday Cards, Special Offers. You can follow any responses to this entry through the RSS 2.0 feed. You can leave a response, or trackback from your own site.